The first two days in India were spent in competition mode. 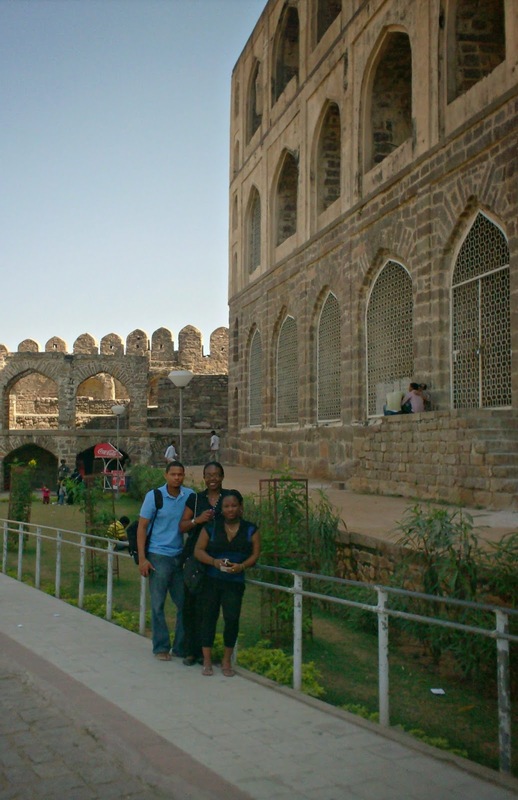 But from the third day, after we were eliminated in a semi final round, we were free to roam the city of Hyderabad, and so we did. My two teammates, Dave and Shelly, our coach Timothy and I, organized with one of the coordinators of the competition to have a taxi pick us up at our villa. 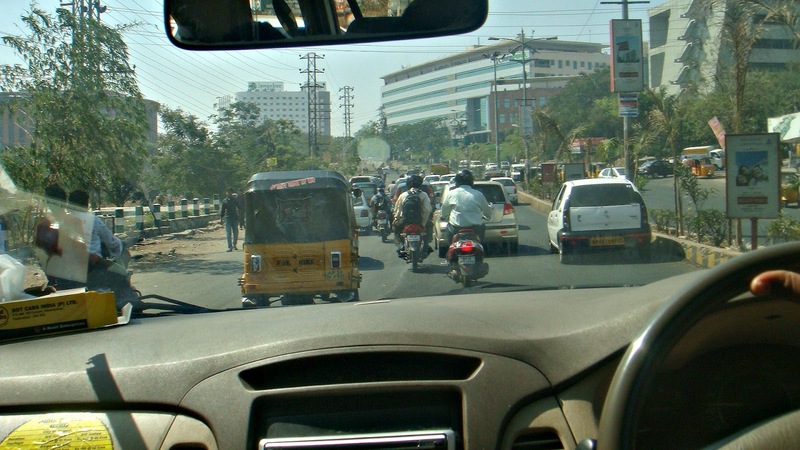 And off we went braving the traffic-law-less streets of Hyderabad! I snapped this pic from the backseat of our taxi and its clear, in India, you drive where there is an open space, lanes are suggestive. We stopped at a cafe (sadly I cannot remember the name) for breakfast and then we were on our way. The destinations? 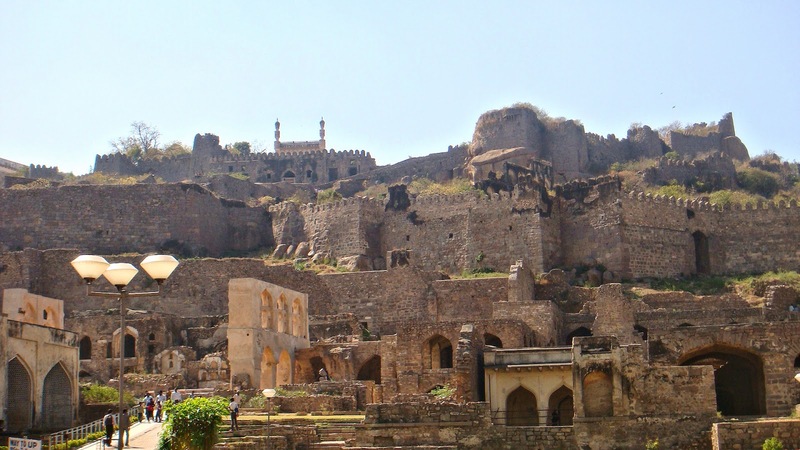 The Seven Tombs, Golconda Fort and The Chaminar. All in one day. They were all so beautiful and all so overwhelmingly rich with culture and history that I just could not squeeze them all into one post. 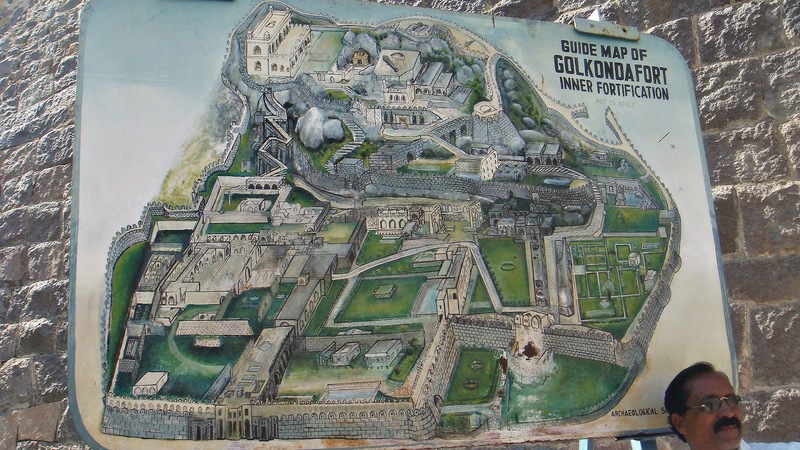 So we’ll start with Golconda Fort. 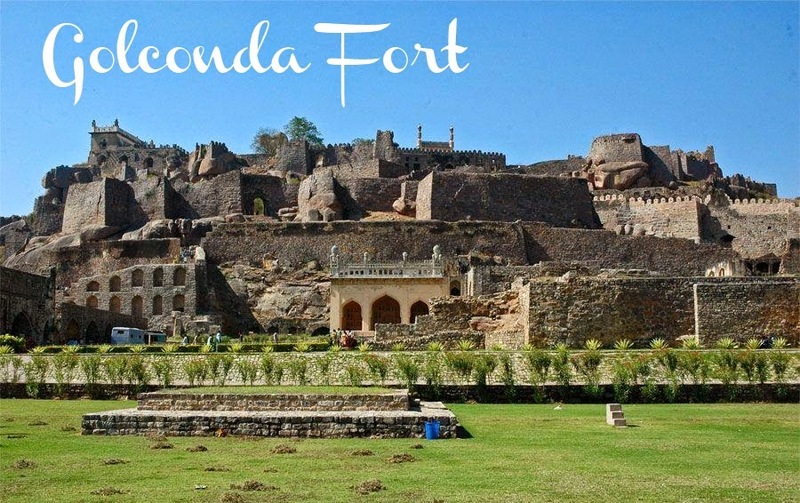 Golkonda Fort, also known as “shepherd’s hill”, is one of the most famous forts in India and it is the biggest Fortress in the Deccan plateau of India. We paid the entrance fee of 100 rupees and once inside we were free to roam the vast grounds of the once majestic, still magnificent, but now ruined Fort. 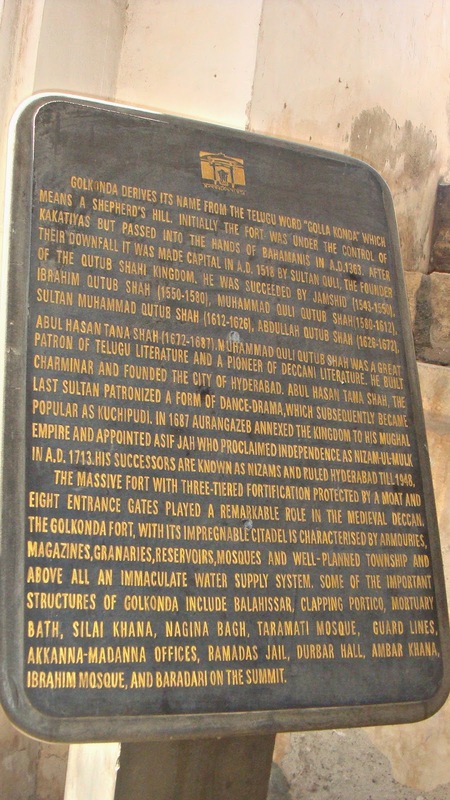 The Fortress is situated 11 km west of Hyderabad and it was the capital of medieval Golconda Sultanate (c.1518–1687). 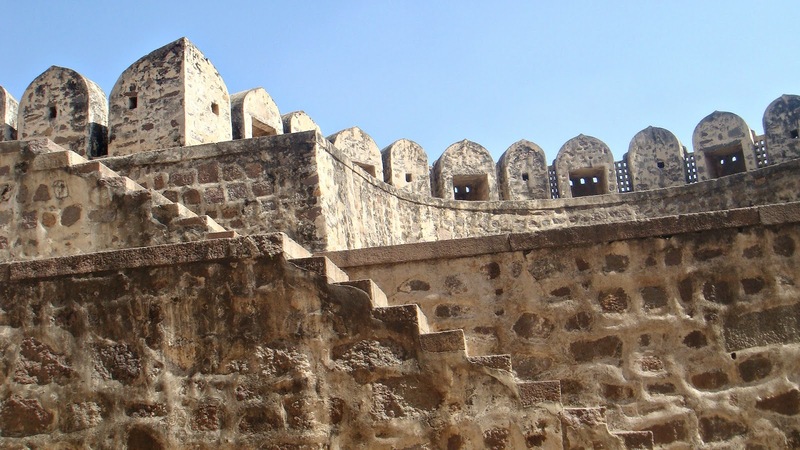 The fort is built on a 400 ft. high hill with a circumference of 7 km of the fort wall containing 8 gates and 87 bastions each 50-60 feet high. It is magnificent and overwhelmingly beautiful and the best of cameras couldn’t do this place justice. It was amazing to stand in a place so full of history, a place that looks and feels like there are stories that have been hidden within its walls for centuries. Stories told and untold. 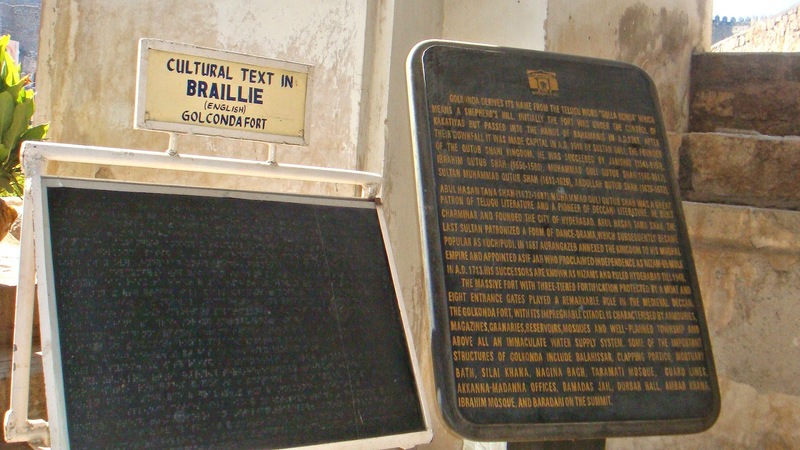 It was a place where history meets modernity and where cultures collide. I know every land has its tales, but I appreciate so much when old architecture is preserved and the history of a nation can be felt by just observing the structures that stand the test of time. 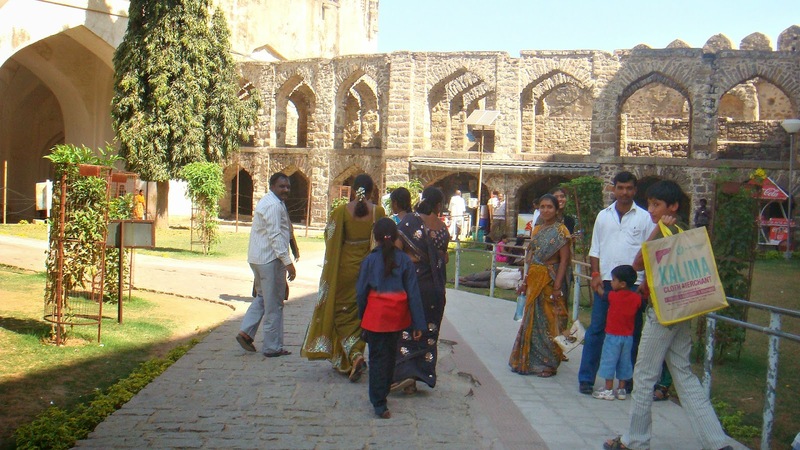 It was certainly an experience to stand within the walls of Golconda Fort. Surrounding the fort are huge gates decorated with large pointed iron spikes. We were told that these spikes were added in order to prevent elephants from damaging the fort. 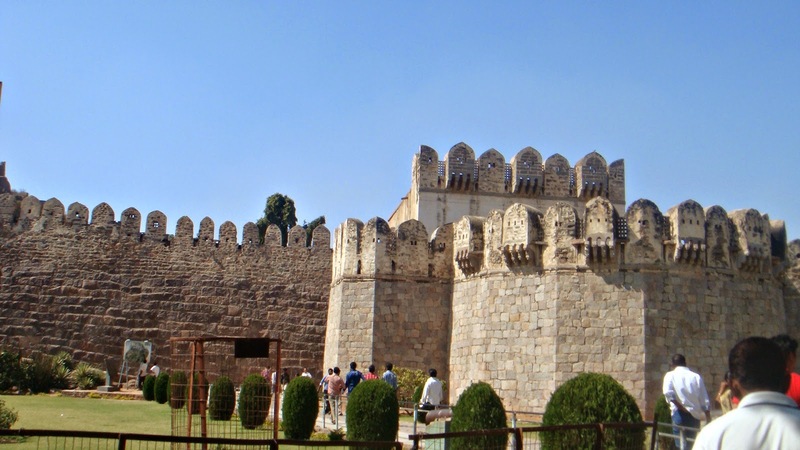 The fort of Golkonda is encircled by a long outer wall which was built to fortify the fort. There were many locals at the site when we got there, adorned in their Indian garb. Important to note that Hyderabad is one city in India where the Hindu and Muslim population is mixed. So there were both Muslim and Hindu garbs worn by locals. A curious thing happened while we were touring the site … the locals followed us around. They were pleasant and friendly but seemed so fascinated by us. I could gander a guess why but it was just the most fascinating thing. They asked for pictures, they hovered around us, they asked us to touch their children… Culture is really a peculiar and fantastic thing! This is the very reason why I plan on traveling the world. We were told by the members of the other countries participating in the competition that the same thing had happened to them. This being one of our first stops on our tour of the city however, it was most noticeable. By the last stop on the last day, we had our celebrity poses down. Me and my two Barbadian teammates (and friends) enjoyed ourselves thoroughly. I am the 4’11” little person in the picture. We honestly were so captured by the beauty of Golconda Fort that we didn’t take many pictures of ourselves at this location. Just a quick note on the attire worn in the picture. We were well aware that Hyderabad has a very conservative dress attire and so we had long sleeved cardigans with us that we removed for the purposes of the very blurry and awkward picture. It is always important to respect the culture of the places visited and India is one of those places that a conservative attire is simply required. 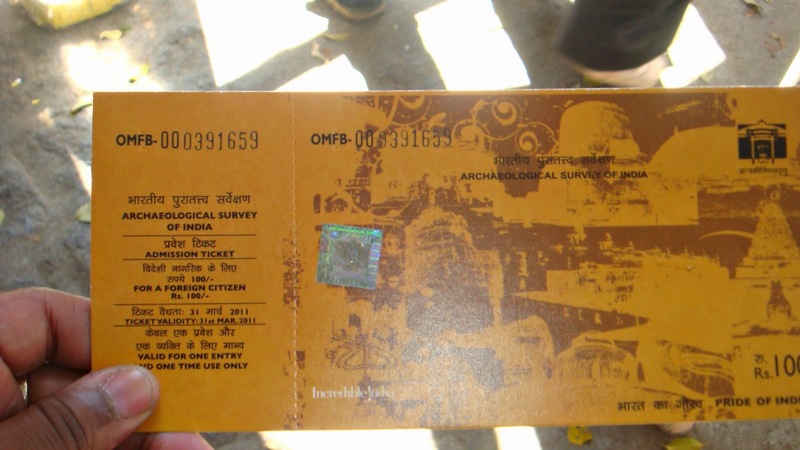 I cant express in words the experience that was Golconda fort. Ive said it before and I will say it again, I wish I had soaked in the culture and experience of India a lot more than I did. 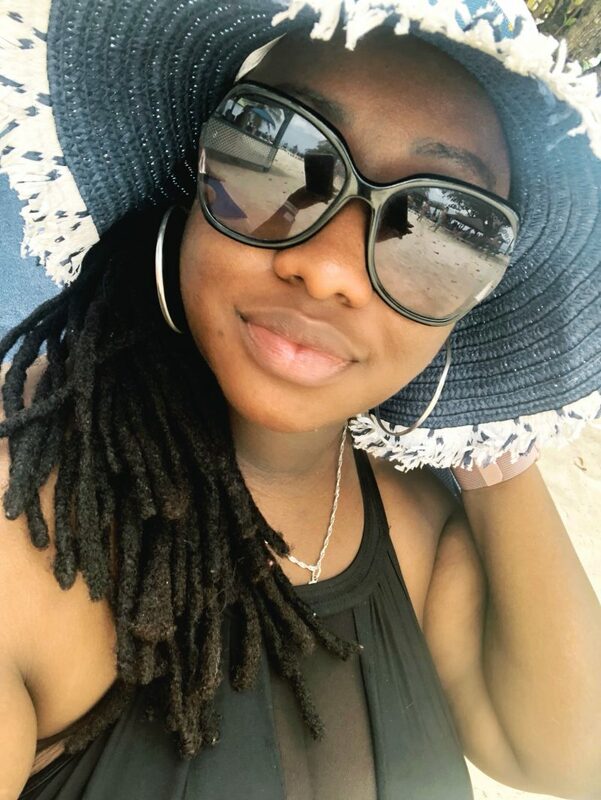 It was a wonderful and amazing opportunity that I appreciate a whole lot more now and I plan to visit again soon. 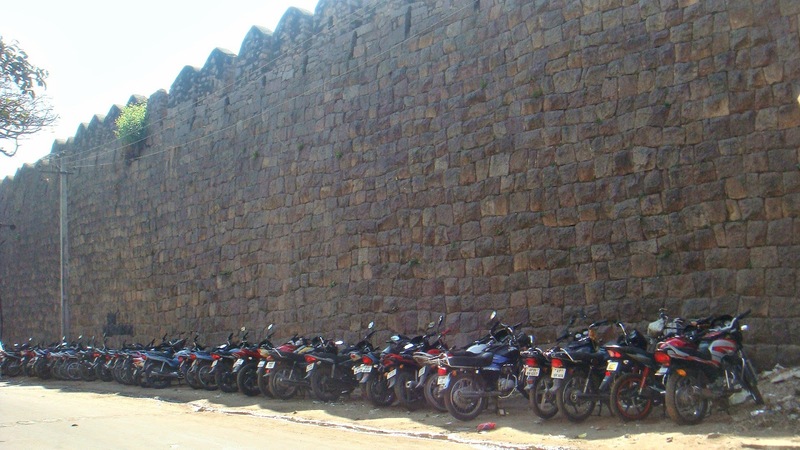 Having spent perhaps two hours soaking in the beauty that was Golconda fort we hopped in our taxi, passed an extraordinary amount of motorcycles lining the walls guarding the fort and we were on our way to the next adventure. Previous Post Weekly TV obsessions!